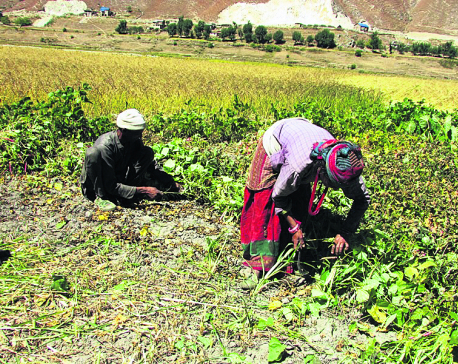 JUMLA, Sept 3: Price of organic apple of Jumla has reached Rs 60 per kilogram this year. In past years, the price of apple used to be between Rs 25 to 35 per kilogram in the local market. The rising price is due to declining production and increasing demand, according to local farmers. Because of market competition, traders have started visiting apple gardens in villages to buy directly from the farmers. This has saved farmers from making long trips to marketplaces to sell their apples. Previously, the farmers had to carry their produce to district headquarters and airport areas where they met apple traders. “Every day several traders reach our gardens to buy apples. 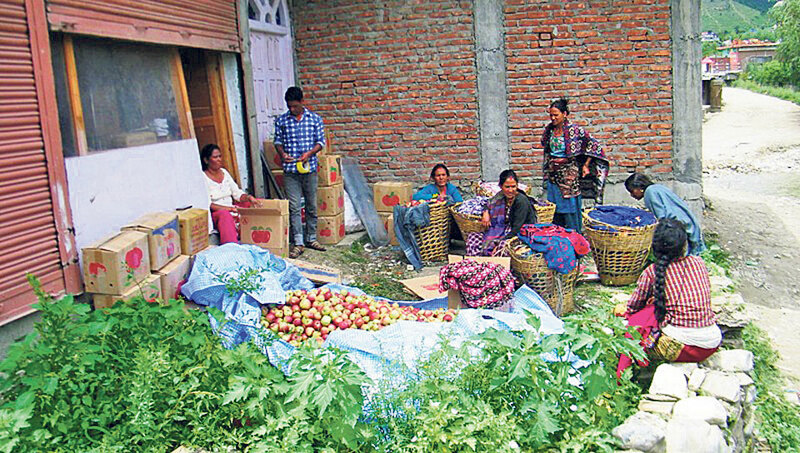 Some of them buy it and ask us to store at our farm, while some carry the apples immediately,” said Hareram Bhandari, an apple farmer from Chandannath Municipality-3. The rate of Rs 60 per kilogram is the highest ever that the farmers have received when selling apples from the garden itself. Earlier, the District Agricultural Development Office (DADO) used to decide apple price after categorizing them into different grades. Last year, Apple Price Fixation Committee of DADO had fixed apple price at Rs 35 per kilogram for grade ‘A’, Rs 30 for grade ‘B’ and Rs 25 for grade ‘C’ apples.